Maybe you’ve heard some of those ever-persistent murmurings about the GeneralMusic S-series: “The S2 synthesizer – a secret sound weapon”, “GEM S2 and S3 are among the best master keyboards on the market”, “great polyphonic aftertouch”, “some intriguing sounds”… and on and on. Let’s have a look at that GeneralMusic S-series. Are these synthesizers from the early 90s as innovative as rumours have it? GeneralMusic unfortunately filed for bankruptcy some time ago. It was among the last Italian keyboard manufacturers, along with Ketron (Solton). The company had grown substantially, especially in the late 80ies / early 90ies. But let’s start even further back and have a look at Crumar first. When the great keyboard & organ manufacturer closed its doors in 1986, it was bought by LEM. The latter was taken over by GEM a few years later, as was ELKA. 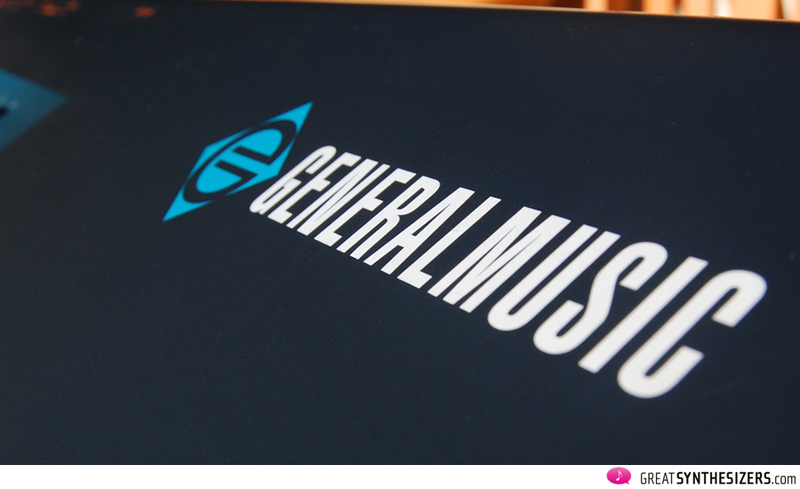 1994 GEM changed their company name to GeneralMusic, but kept GEM as a brand. 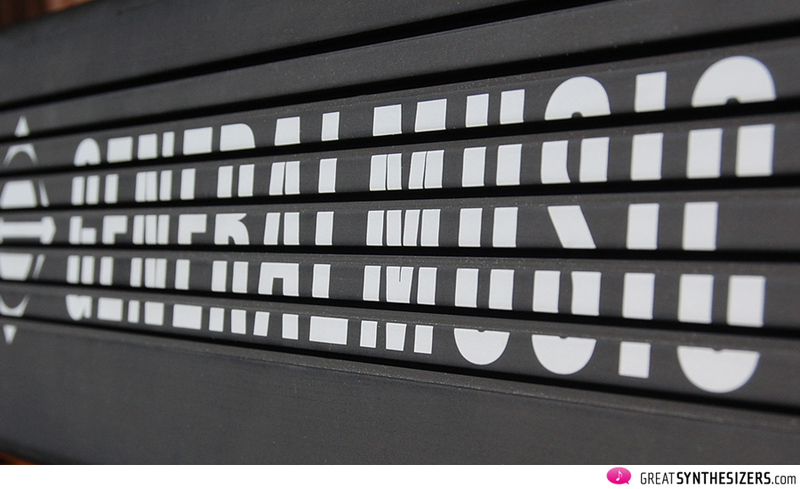 That means that GeneralMusic now hosted GEM, LEM and ELKA. 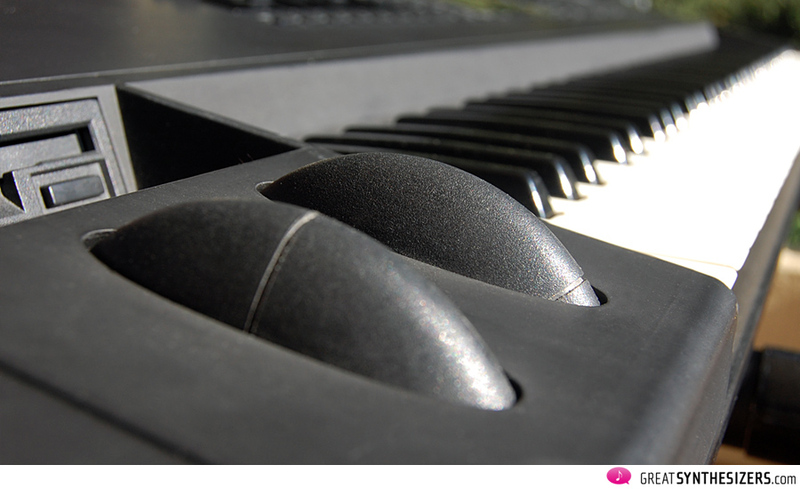 GEM was still a name to take seriously in the portable keyboard, workstation and e-piano market. LEM produced mixing consoles and loudspeakers, while ELKA offered guitar/bass amplifiers and portable p.a. systems. In the early 90ies, GEM/GeneralMusic had some 500 employees in five locations. The R&D (Research and Development) department alone employed 25 technicians. That’s where, among other things, some of the S-series custom chips were developed. The S-series actually was one of the last products ELKA began. 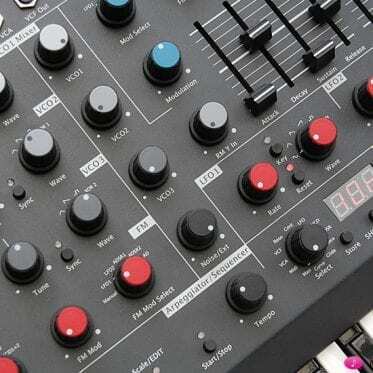 After its collapse in 1988, GEM/GeneralMusic took over the plans and brought the innovative “S” synthesizer project to realization. Sadly, the success of the S-series was limited, so GEM/GeneralMusic cancelled the whole product line once the Turbokit had been released. 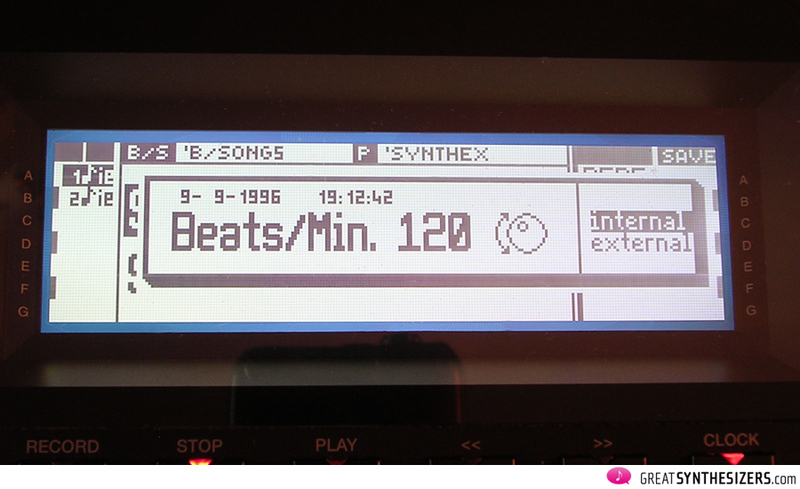 A few years later another, very “S”-like synthesizer appeared, the GEM Equinox. It closely resembles the S2/S3 and seems to be GeneralMusic’s last delving into high tech synthesizers. I bought the GEM Equinox Pro 88 in 2010 and, to be honest, I can tell you the old S2 / S3 is much better (… it’s mainly the quality and originality of the sounds which is much better and a lot more inspiring). Meanwhile, Generalmusic closed its doors. On February 2009 Generalmusic fired all workers that immediately filed for bankrupt which has been declared in 2011. Very sad. 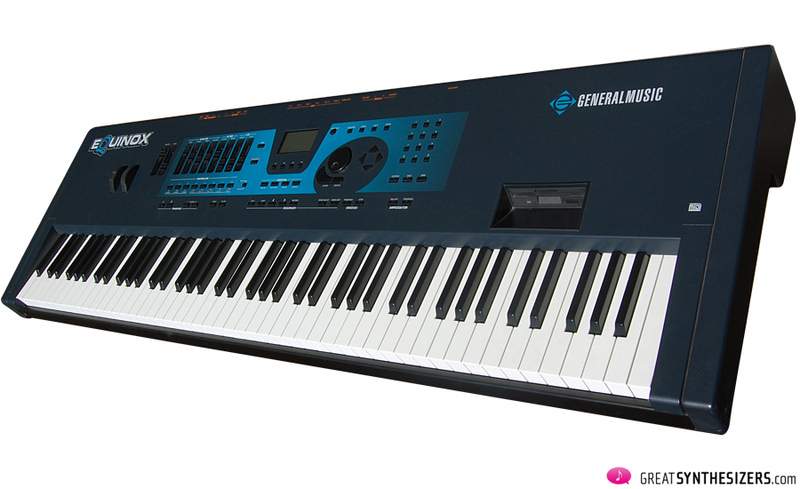 We repeat, GeneralMusic made its first serious move into high tech with the GEM S2/S3 and S2R in 1992. 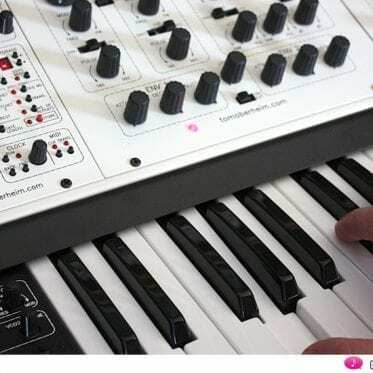 Looking at the S2/S3, they seem like any ordinary sample + synthesis keyboard workstation. But these are professional, genuine synthesizers with some fresh new functions and – best of all – a wonderful sound. Physically speaking, they tote some outstanding features: The enormous, deeply sunken aquamarine LCD, the two moulded (freely programmable) wheels, the masculine 61-note/76-note keyboard, the many panel controls. Although the panel is crowded with knobs, it doesn’t seem cluttered. Most knobs have a specific function, such as EFF. BYPASS, CLIPBOARD or MIDI OFF. 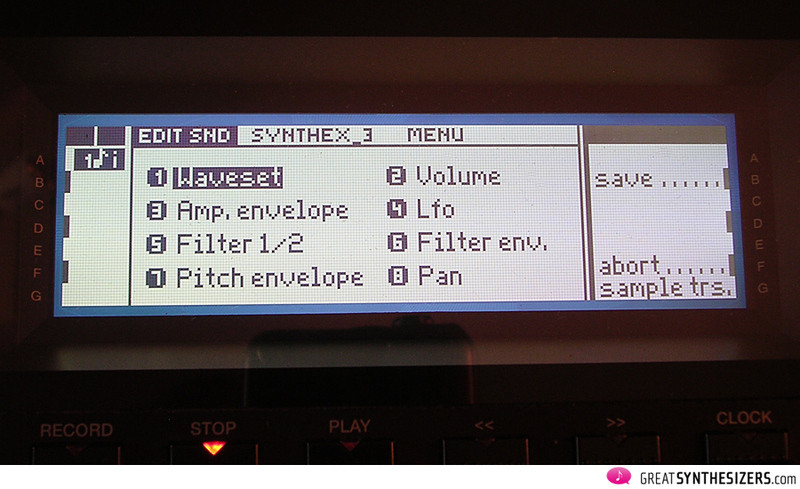 The S-serie’s flexible (open) operating system (called MIOS) lets you move about the instrument in a free-flowing computer-like style. The field of highly professional S+S (sample + synthesis) concepts was quite crowded back in the early 90ies. Actually, the story should start back in 1988 with the all-time classic Korg M1. 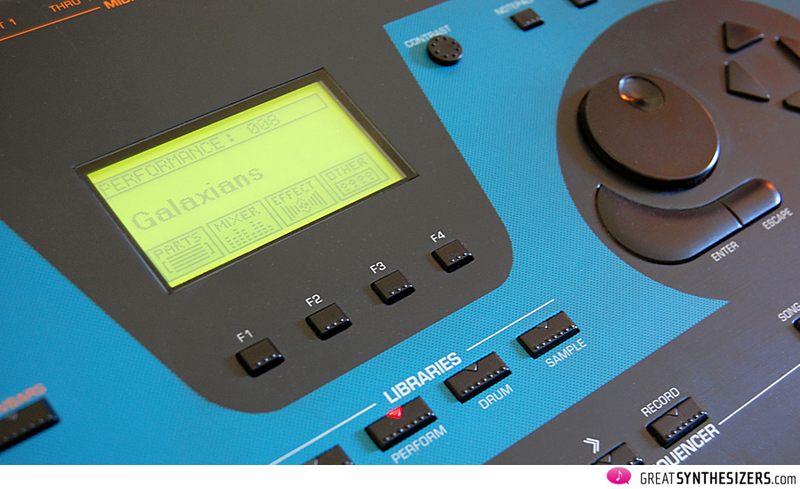 Its successor, the 01/W, had a bigger screen, more samples, double polyphony and a new “crazy” feature called waveshaping. It remains a very popular workstation up to this day. 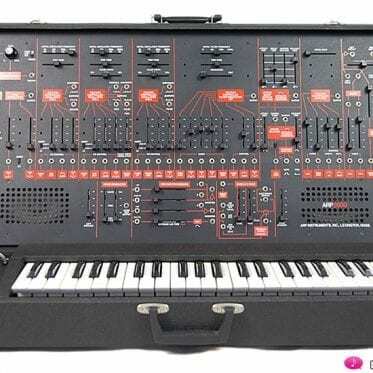 Roland tried to continue the success of the D-50 and released a PCM sample-based synthesizer called D-70. Sadly, it was too complex to program – a real pain, once you began delving beneath the surface! 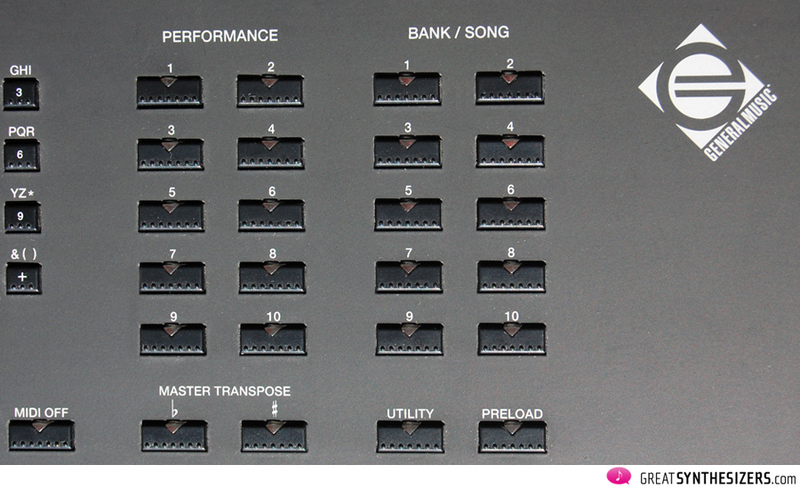 Yamaha’s SY77 (and its rack version TG77) equally suffered from a too-complex operating system. Although they could have been milestones in synthesizer history (as was the DX7), those wonderfully sounding synthesizers were a pain to operate. Not even the more flexible flagship SY99 was rid of those inherent complexities. 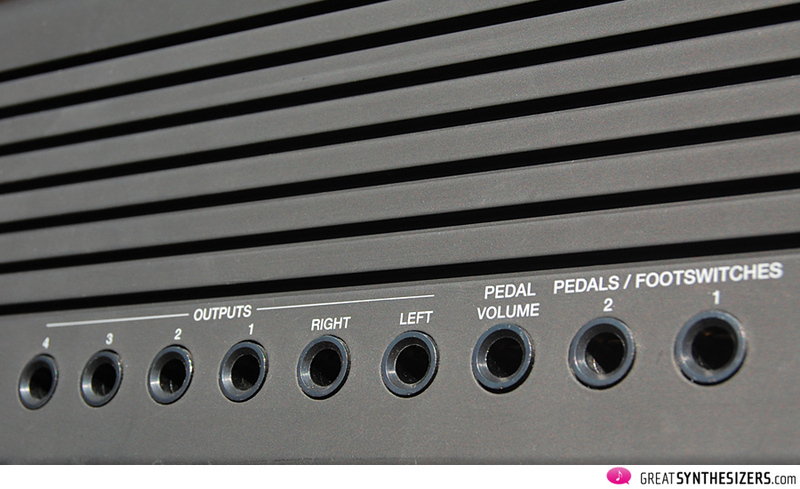 In 1991, Roland’s JD-800 should have been the big seller, but it wasn’t! Too many knobs! People were too easily intimidated by all those sliders and buttons – although synthesizer designers in their turn must have found it pretty nerve-wracking, trying to figure out what synthesizer-programming concept people were actually looking for. 1991 was the birthday of Kurzweil’s K2000, too. This highly respectable instrument was the beginning of a whole bunch of professional synthesizers – up to the latest K2661 now in 2007. 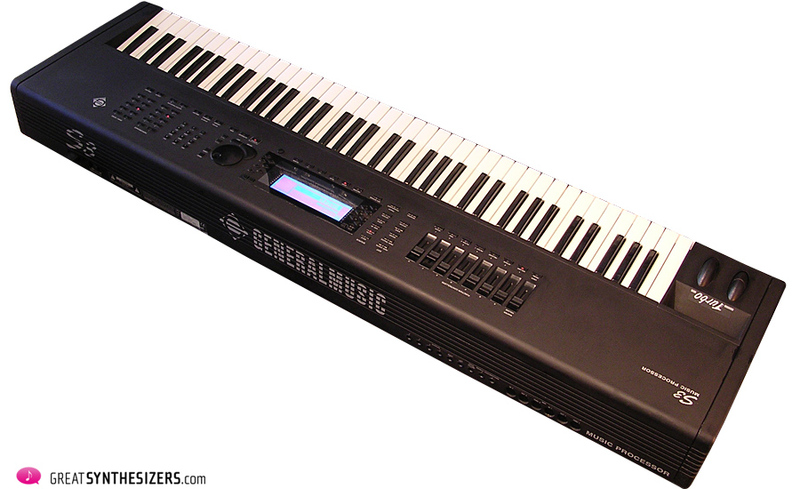 One year later – in 1992 – GEM (later GeneralMusic) hit the market with the GEM S-series. S2, S3 and the rack version S2R were hi-tech instruments, but the company name was by no way an asset. Not many pros knew GEM/GeneralMusic to be a producer of studio synthesizers. The Turbokit for 32-voice polyphony, equipped with an expanded ROM sound bank, didn’t help to turn the S-series into a pro’s instrument, either. GEM/GeneralMusic stopped its production and support as soon as it became obvious that the whole range would turn out to be a flop. Completing the list of outstanding early 90ies professional synthesizer / workstation concepts, we should mention the Roland JD-990 and Ensoniq TS-10. Both were introduced in 1993. Finally, there was another innovative workstation from home keyboard producer Technics. The WSA-1, released in 1995, was a fully professional, future tech synth with acoustic modelling synthesis. Once again, the missing reputation in the pro user segment was the company’s biggest hindrance to establishing the instrument on the market. GEM S2/S3/S2R are pro synths with some first-rate sounds, innovative editing procedures and a rarely-to-be-seen polyphonic aftertouch. The only limit was the professionals’ willingness to accept a new name. And maybe rumours were still around that the Italians could not manufacture a proper synthesizer. In its days, Crumar, for example, flooded the market with cheaply built instruments. Many of them toted serious sounds and were based on innovative concepts, but the hardware tended to be low quality. Buy a japanese synthesizer and you know what you get! But history tells us that there were some great pro synths that the Italians definitely got out on the market. 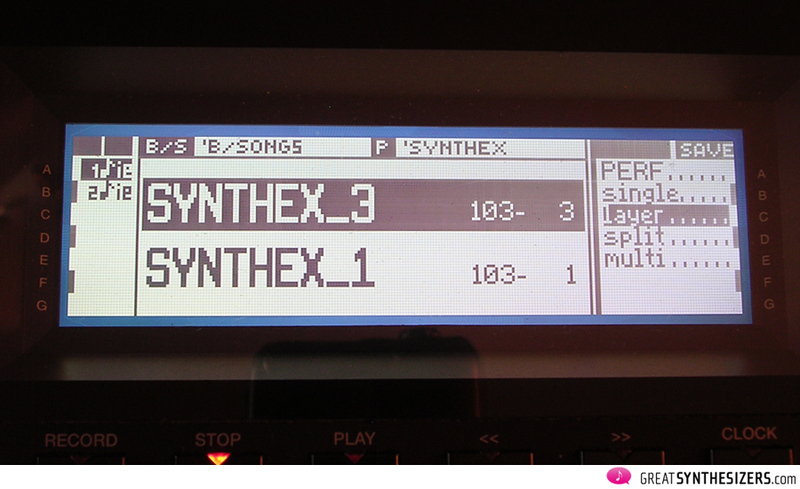 The Synthex, for example, is better constructed than the Jupiter-8 or any Oberheim OB-8/Xa/X. That’s not to say that it’s more reliable, but the whole concept and construction is more professional than any of its competitors’ products! 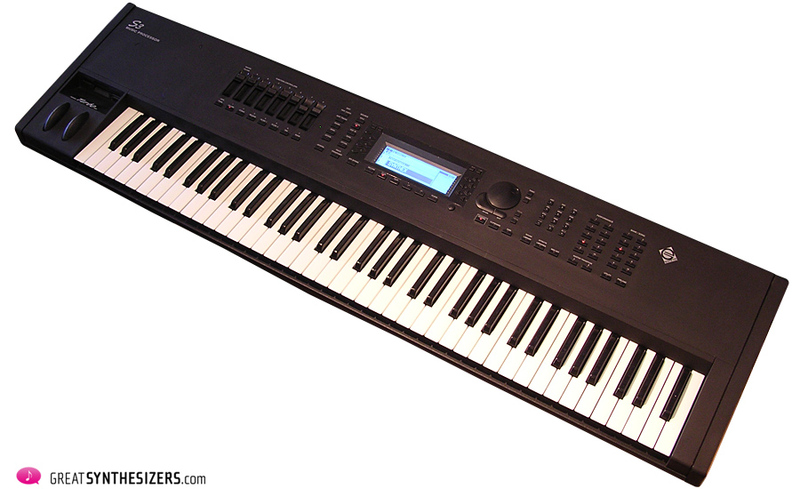 The GEM S-series is at least at the same hardware level as a Yamaha SY77/99, or any Korg or Roland workstation. The implementation of polyphonic aftertouch (with release velocity!) afforded high GEM/Generalmusic production costs. And the S-keyboard panels were covered with a special finish (a sort of rubber-encased plastic) that looks very elegant. GEM even produced a Turbokit for the S2/S3 which boosts polyphony up to 32-voices and expands the ROM bank to over 500! IF GEM/Generalmusic had kept producing instruments like this, we might be listing the company name right next to Roland, Yamaha and Korg today – who knows! Let’s have a close look at the S-series. Basically, the instruments are sort of expanded workstations. What’s new about them? 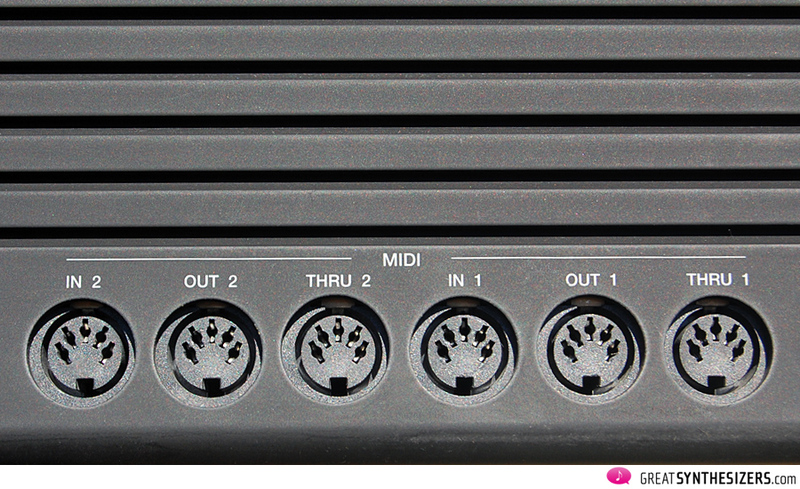 The flexible operating system allows you to use the S2, S3 as a MIDI merge center. Without using the internal sound engine, you can take advantage of the sequencer or control sliders, route and control any external MIDI device in any way you desire. There are two (!) independant Midi busses – that’s a rare one on most workstations, isn’t it? But, sure, nowadays you don’t buy a S2, S3 solely because of its sequencer or MIDI functions. Today you might be interested in these synths because of their intriguing sounds. GEM did everything to make the S-series as userfriendly as possible. For instance, there’s a row of seven sliders and buttons next to the display, foolproofly marked with volume, attack, release, filter, pan, etc. Although the good point is, you’re not locked into these functions. Switching to “user” mode, you may use the sliders and buttons to control any functions within the overall S2, S3 patch. There’s 6MB of sample material to start with, and the two 2 pole 12dB filter can be combined to a single 4 pole 24dB state variable multimode-filter. Two independent effect machines are “standard” for this type of workstation concept, but here again, there’s a little bonus: the global rotary effect is not only nice, but extremely useful. I wish more instruments featured this function. The two wheels can be used for standard pitch/vibrato performances, or can be assigned to any other function you wish. Boy, it spells real fun playing a cutting leadsound while changing its attack with the modulation wheel! As with the wheels, the CV/Pedal-IN ports are freely programmable. You’re probably getting an idea of how powerful these instruments are! By chance, I got to know Lothar Jenske, who worked for many years as a repair man in the German GeneralMusic compartment. “S2/S3 hardly break down” he says. “Generally, they are very reliable instruments”. Sure, as with all electronic gear, some voice less positive experiences as well. In 2002 a user posted the following bloq: “During my last gig the S3 suddenly caught fire. The audience was excited – they thought it was a pyro-effect and part of the show – but it was anything but funny to me”. Last but not least, it’s the brilliant keyboard action that turns the S2, S3 into a potential master keyboard. The lightly weighted action (to use GEM’s own phrase) combined with polyphonic aftertouch sensitivity (with release velocity!) shows the great master key’s potential. 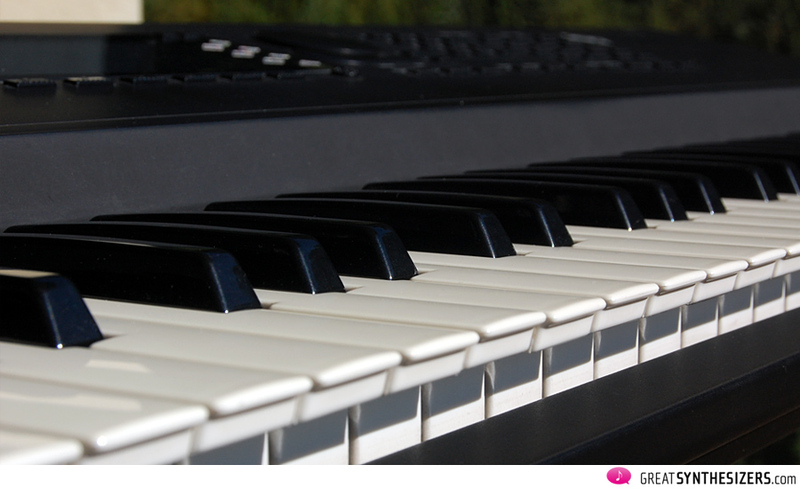 I think polyphonic aftertouch opens a whole new world to the creative musician. Sadly, this great feature was among the most unpopular ones in the S-series’ history. Maybe keyboard (not piano!) players weren’t skilled enough to use the polyphonic feature correctly. To be honest, IT IS NOT EASY to control different keys with independent finger pressure. In 1992, when the S-series was released, the press immediately pointed up several missing or improvable features. 16-voice polyphony wasn’t sufficient, important sequencer functions were missing, some day-to-day functions needed to be improved, etc. GeneralMusic, still trying to establish its synthesizers on the pro market, didn’t hesitate and released a respectable Turbokit. All in all, I’d say the Turbokit version is the one to keep a look out for !!! IF you spend a couple of hundred Euros for this wonderful instrument, then why not get it right? I have to point out that some minor highlights of the original S-series’ sound edit functions were kicked out of the Turbokit version to create space. But to me, MIDI synchable LFOs, sending/receiving sys-ex data and other functions are reason enough to go for the Turbokit. By the way, the Turbokit Manual contains close to 100 pages! The internal effects are organized in two separate effect units. Static effects contain reverb etc, while dynamic effects offer delay, pans, flanging, etc. The quality of the effects is sufficient. Pros, of course, will mute them in order to do external sound processing. But there’s an additional global effect that’s worth mentioning. The (stereo) rotary effect really brightens up sounds! This in addition to the vast panorama modulation function that the sound edit menu already offers. Add some high-quality external reverb (or delay) to your going-through-rotary-while-panorama-modulated lead sound, and you’re top dog! I can’t tell you too much about the internal sequencer, as I’ve never used it. Basically, it’s a 16 track sequencer with detailed functions such as quantize, loop, track transpose, etc. It controls the internal sound engine and/or external synthesizers. Theoretically, you could run most of your studio equipment from the S2, S3 synthesizer with its two independent MIDI busses. Next to the very animating neon-lit display, the 7 sliders are among the most eye-catching physical aspects of the instrument. Volume, attack, release, filter 1, filter 2 and pan may be directly adjusted simply by moving the sliders. As already mentioned, you may re-program all functions to your own needs and save the new slider/buttons settings. 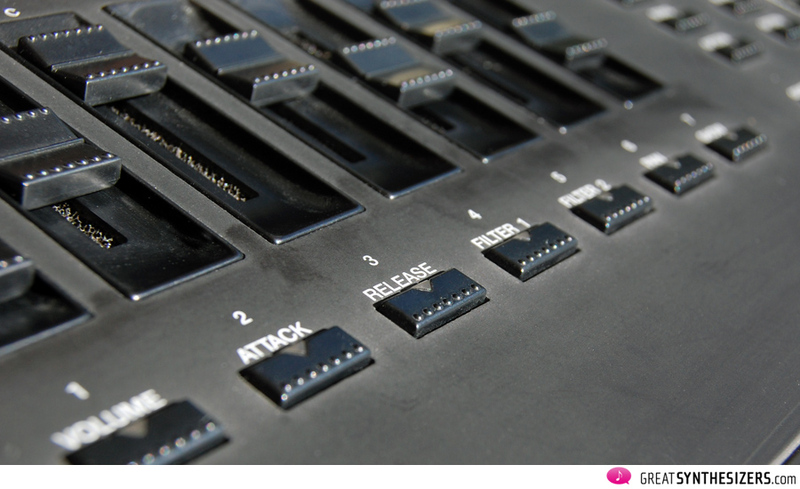 In performance mode, with sounds “stacked” on each other, the sliders function as a little mixer… move the faders to get the right balance between the various sound volumes … very convenient, isn’t it? Moving sliders intuitively may not always lead to absolutely exact programming results, so GEM / GeneralMusic implemented a Show function that displays each fader’s value on the large screen. That means you’re able to program sounds vaguely – on the run, so to speak – or, if you prefer, very precisely (with the help of that display). Time to pay attention to the instrument’s sonical potential. Most presets are tasty, well programmed sounds that can be immediately implemented in your productions. In my opinion, many of them are too doused in reverb. But again, simply press EFF. BYPASS and use your outboard equipment instead of the internal effect units. The basic sound is very powerful and surprisingly strong. Thanks to all those modulation routings, the brilliant S2 and S3 engines give you expansive, atmospheric sounds. The GEM S-series is a real bargain. Right now in 2012, prices range from 250 to 400 Euros. That’s definitely reasonable, considering that any Roland D-50 costs the same money. If there’s a chance, try to get an S2 or S3 WITH A CASE (I didn’t, but that’s my advice!). The instrument’s special rubber-covered chassis is a little prone to injury, so a case really makes sense. Sure, neither S2 nor S3 are dream machines. It takes quite a while to reach into the depths of the programming architecture. You need to learn that track and track may be two different things (a performance consists of up to 7 tracks = sounds, and, of course, the sequencer has its own, different tracks). Speaking about programming – I’d say it’ll take several months until you really feel at home. But GEM/GeneralMusic did its best to create a synthesizer/workstation that offers heaps of functions for a better workflow. The gorgeous display, the freely programmable sliders, wheels and pedal-ins, the wonderful polyphonic aftertouch – just keep those aspects in mind. 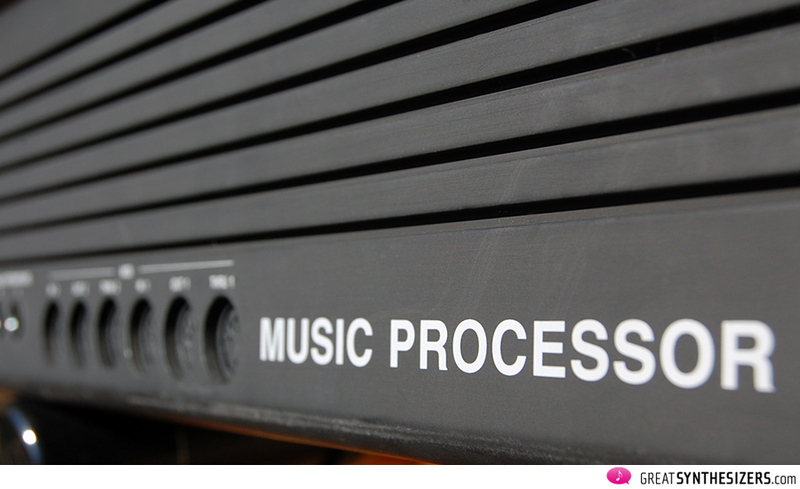 Most important, programming efforts end up in stunning, expansive sounds. I highly recommend these synthesizers to all programmers and players. GEM S2/S3 are both great sound engines and potential master keyboards as well. Congratulations, You wrote the best review I’ve seen about GEM S2/S3! Somewhere in the past, I promised myself that I’ll write a review about the capabilities of a polyphonic aftertouch (polyAT) keyboard/MIDI controller, with S2/S3 examples as one of the best implementation of this technology, since Yamaha CS80. Glad that you did it better than me or someone else may expect from an old keyboard review! But these keyboards really deserved it! I have a GEM S2 and also a Technics WSA1 “physical modeling” synth, with the rare expansion board. Together with Paul Nasca Open Source ZynAddSubFx softsynth (additive and subtractive synthesis – now polyAT enabled! ), the excellent polyAT capable GEM S2/S3 (and it worth also to try some of the 200+ original and user sounds disks available for GEM S2/S3) and Technics WSA1 are a hidden treasure at a (still) very affordable price, for the one who needs new and/or “classic” synthesized sounds. Congratulations again for the review! I read your comments on the Generalmusic S2 turbo.I loved the keyboard also. Unfortunately I tried to change a leaking battery and lost the system OS. If you have any knowledge to direct me to a copy of that system I would be eternally grateful .Anyone else having the OS for this keyboard please let me know. Hi. Thanks a lot for the reply 😊 I’ll look forward to receiving your mail😊 maybe you can repair it yourself? Or a part of it if I send it to you? Hi had a GEM S2 Turbo and adored it. I took a chance buying it as everyone else was singing the names of the big players such as Roland & Yamaha but felt the Yamaha alternative at the time felt like cheap plastic. I do wish more people had got behind what this company was trying to do. To me it felt cutting edge. Sadly after many years playing the GEM I had to go abroad and put my GEM in storage but couldn’t bring it back to life. The onboard circuit-board battery died and I lost the operating system. Sadly had to bin it. Made me cry. i also have had gem S2 keyboard with turbokit, and gem s2R … unfortunately my ex was collapsed because of battery leak,…but i think that all chips with Os are ok…! Is it still actual your problem? Hi hoping someone can help my GEM S2 has just stopped working out the blue.It powers up but theas LED screen has all muddled text like hash signs. None of the red led lights come on either. I hoping someone is ale to suggest a good repairer of this unit as grown very fond of it. Yes … I experienced something similar. It’s probably the operation system that doesn’t boot any more. To be honest, I’d buy another S2. They’re really affordable (250 Euros) … which is about the average costs of a good repair job. I got an S3 Turbo from a friend as a gift, it was in an attic for many years. I powered up and was playing perfectly then suddenly nothing. I left it for a few hours and it lit up again but no sound. Any advice on battery or power supply. It’s in immaculate condition and don’t want to loose it. Thanks very much, nice detailed review! I do wonder, why no one mentions the SX2 Version of the S-Series? It appears very difficult to find comparison info. If I had to guess, I’d say that the SX2, is an S2 with the Turbo Kit (Upgrade), which would make sense as Synthesizer “upgrade” history goes. I haven’t yet found a (PDF) Manual for the S-Series Synthesizers – I’m sure it must be attainable. These are a rare find: I didn’t see any on eBay at this time. Hi. I have a GEM S Series Manual in PDF. If you want it, I can send it to you via e-mail. I have a S3 Turbo since many years ago. I have many Sound Disks in .img format and I use OmniFlop v.2.2d in Windows 7 for convert these images a floppy disk. I will do maintenance whenever necessary. The power supply was damaged once and I fixed it myself. From time to time I do maintenance to the contacts of each key. It is a tedious job but not complicated. Hello Andrume. Yes, the PDF would be very useful. My email address is theo(at)greatsynthesizers.com … thanks in advance! Greetings to Venzuela …! Unfortunately these are newer harddrive based units so there is no reference to the floppy drive. Would you mind sending me the pdf for the S series if it’s for the older ones like mine? I’m really looking forward to getting this thing ship-shape. I have an S3, great master keyboard for my studio. Anyone know where I can get a Turbo Kit from? I own a Gem S2. I might sell it, but I don’t like shipping it. Please come to Norway and pick it up. One key is defect. It sounds different than the others. Hola y muy buenos días, quisiera información sobre el GEM MK2, que me lo han regalado, está sin usar aunque tiene un pequeño defecto, que me están intentando reparar, me gustaría saber en que precio podría venderlo y me decidiera a ello, y si es posible conseguir un manual de este. My parents bought me a GEM S3 Turbo in 1993 when I was 13 years old and I gigged it 3/4 times a week for the next 10 years! It was an exceptional synth and I played it faithfully every day for hours, recorded on it etc. At the time I was looking at Korg 01WFD (remember them!) 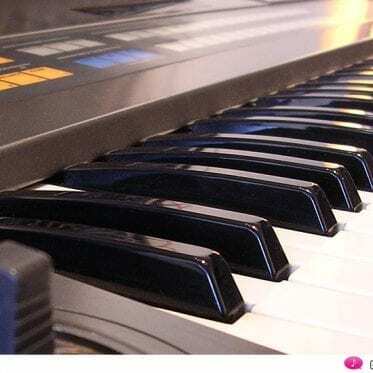 Yamaha SY 85 and Kurzweil :-) GEM S3 Turbo blew them away in terms of editing, master keyboard functionality and the different tone it generated in terms of sounds. True, the patches weren’t as epic as the Korg, but they were great in other ways. The Sequencer was in another league too as well as the ability to sample. My GEM S3 has been a very faithful friend who never let me down once in some very big performance settings. Reluctantly I am selling her as we are downsizing, but not before celebrating her brilliance! Listed on ebay.co.uk right now if you are interested. If she doesn’t sell, I will continue to be a proud GEM S3 owner :-) The keys need an overhaul as some don’t sound now, but it works well slaved to a master keyboard. I own a GEM SX2 Synth which I use regularly in my home studio and it also my favorite synth to play for shows/performances. I own a Korg Polysix Analog Synth, Korg EX-M1 Synth & Roland D-50 as well but the SX-2 has been the staple of the bulk of recordings I’ve done. I run Propellorhead Reason 7 software on a tricked-out customized ASUS Laptop and the GEM sounds intergrate into the software recordings seamlessly. It would be great if GEM could’ve stuck around long enough to see how many users their S-series has garnered over the years. Still a top-dog in my book!! I also own a GEM SX” now and I’m desperatley searching for a manual! Hope you can help! Looking to purchase S2 or S3 turbo keyboard or rack mount. I sold my Gem S2. It had some very good and some dated sounds and terible hiss. I don’t know why. Anyway this is wonderfull machine! I have a Equinox 76note that doesn’t work. It is stuck trying to boot from the floppy. I have replaced the battery and that hasn’t helped. Any ideas? I would hate to sell it as scrap. I have the WX 400 Multimedia Workstation (GEM) from 1996 and I want to replace the battery. Can you help me please what kind of battery is this and how can I replace it by ny self ? Does anyone have the OS system for the S2 ? Tried to change battery and lost system. Still seeking to purchase an S2 or S3 turbo keyboard. RESURRECT THE MANUFACTURING OF THE GEM S2 & S3 KEYBOARDS. As a proficient ONE-MAN-BAND / ONE-MAN-ORCHESTRA and expert GEM S2-S3 artist, most 4 piece bands and some mini orchestras are intimidated by what I’ve been able to get out of this reliable workstation (both performance and recording). Trust me – an updated version with original features, improved polyphony and post 1990 technical enhancements would result in this instrument selling like hotcakes. de diskettedrive van mijn Elka C 1000 orgel is stuk zodat het orgel niet meer bespeeld kan worden kunt U mij helpen aan en diskettedrive die op dit orgel kan geplaatst worden zodat het weer kan bespeeld worden. graag uw antwoord indien mogelijk. interested in selling the same keyboard in the “States” (US) ? Hi Bill- Left the same post below also: I have an S3 Turbo with a ton of software that I have been thinking about selling. I bought it new. I have original the original manuals, video instruction manual, a ton of software- sounds etc. , and the original box. Keyboard is in decent shape and plays well. Let me know if you haven’t found one and would be interested. I live in the US. Good article Theo, which I have just come across by accident. A new forum has been created on the Generalmusic Owners Club website which I hope will help others with any queries on this excellent range of GEM instruments, sadly no longer in design/manufacture. I am the owner of a WK8 Gem keyboard and I need a replacement battery for it. Can anyone please assist me as to where I could get one from. The message cancels automatically after 2/3 seconds.After the message cancels, be sure to save all of your edited work to disk until after the battery has sufficiently charged. Leave the instrument on for a few hours to recharge the battery. One hour of charge time corresponds to approximately one day of use – the battery charge remains active for approximately 15 days of non-use. If you foresee leaving the instrument turned off for a long period of time, be sure to save all user-programmed data to disk to safeguard your data against automatic erasure due to battery discharge. I talked to you a few weeks ago about a power supply circuit board for a JD800… now I’m looking for a rechargeable battery for the General Music Equinox. Wonder if you can help? Several years ago when I owned a GEM S3 Turbo keyboard which I had originally bought in the U.K and which I took to New Zealand when I emigrated. Wrote some great songs on it and still have 15 disks with those songs on. The keyboard was stolen and I would dearly love to get another or an equivalent GEM which can read those disks. Any idea of places I could check that might be able to help? Hi- don’t know if you ever found an S 3 yet- but I just noticed your post and I know they are hard to come by. I have an S3 Turbo I bought new- and was looking to sell it. I have a tone of software with it, video instruction manual, original manuals and box. Keyboard is in decent shape- never used on gigs, just home recording. Let me know if you would be interested. I live in the US. hi I’m trying to get some info on a keyboard that’s selling on my local craigslist. It’s called a Gem sx2, and I’m not finding anything about it. I’m finding info on s2/s3 and a turbo s2 and s3, but nothing about sx2. Is the x designation referring to the turbo version, or is it something particular to Canada (I’m in Canada)? thanks. hi all, i’m sorry be more my speak don’t smart, i have a gem wk 1 oriental but now blend,lcd on but havn’t message and no out voice, please i want solution to formating manual,how idea?thanks and sorry. hi I just want to update this discussion. I went and saw the Sx2 that was for sale. He had the original manual. The Sx2 does have poly aftertouch, and it says so clearly in several places in the manual. It also doesn\t have real time controllers, and the particular one I tested had terrible velocity; it was actually useless. People should know that the Sx2 is not properly speaking, one of the S series. I live in New York and I own S3 and Equinox61 synths for a long time. I think that Equinox61 is sonically is better, almost like an Analog sounding synth with digital controls. S3 has an older digital sound, which is also interested. My vote goes to Equinox which is the best digital synth ever manufactured, better than relative Kurzweil or Roland workstation models. I think this is not true – you can also configure the mono outputs as stereo pairs – at least according to the manual. I have to figure out how to get those S2 sound images to floppy on Win7 64bit… OmniFlop should work hopefully!? Any experience? Also was anyone able to make a good supersaw simulation on this synth? I received the mail, many thanks in advance. My S3 turbo has the same problem. It is caused by the oxidation of some contacts on the main board (due to the leaking battery). This is not an os problem. After replacing the battery, I turn on the synth but I can hear no sound. Theo, did you get a chance to look at the OS disc? I need to buy GEM S2 TURBO. Could you please help me find one in reasonable condition either in Europe or in USA? Hi all !! I have a GEM SX2 like new !! but i cant find info about it, i would like to sell it because its not my kind of keyboard …. or i can trade it for other synths like korg, moog, ensoniq …. Can anyone give me an orientation about the value? Thx a lot. … thanks, Panu … !!! I had a dead GEM S3 Turbo. I replaced the leaking battery, it did not help. Also replaced Some parts around the battery, no cure. At last I bought e new(!) cpu board. It helped. Now my display freezes after a while playing the instrument. I still can play it, but the display does not react at all. If I switch it off and on again, the display is blank with Some blue lines. I checked the controlller board, but that seems to be fine looking at it. It looks like when getting ‘warm’ the refreshing gets disturbed. May be Someone recognises it and can help me. I’m not an electrician, but it may be just a small component causing this problem. When the instrument has been switched off for a couple of days, it starts working again. But when playing for a short time the screen freezes again. Many thanks in advance for your help. I am having similar problem with the display. Does anyone know if s2 turbo disk recordings can be salvaged and transferred to some other midi device? Olá, eu tenho um sx3 e ele não está funcionando, gostaria de saber onde tem assistência técnica? Do you know where I can get the floppy disk (or disks) for the S3? I do not have any disks with the keyboard and would like to have the disks to change sounds etc. Oberheim Two Voice Pro – the analog dream-synth? 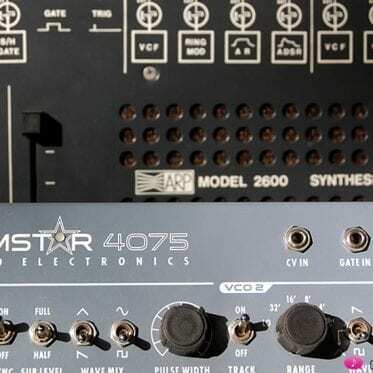 Studio Electronics Boomstar 4075 – the ARP substitute?